Spicy, oily goodness. 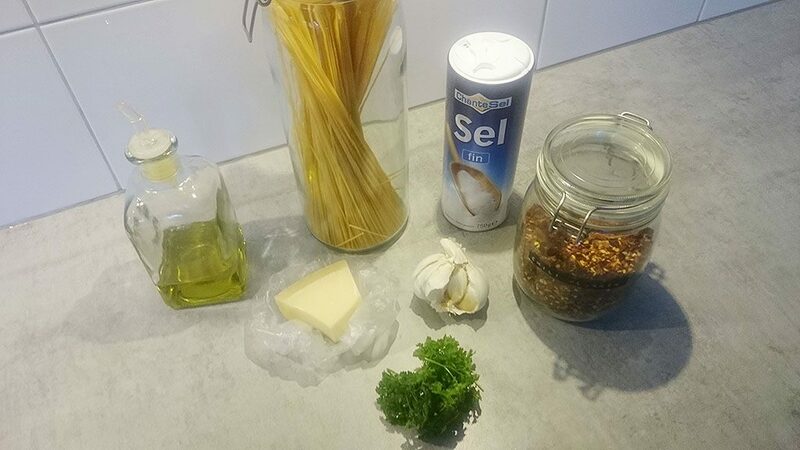 This delicious Italian recipe for spaghetti aglio e olio is ready in about 15 minutes, serves 4 people. THINLY slice the garlic cloves and fresh parsley using a chefs knife and cutting board. GRATE the Parmesan cheese using a cheese grater. FILL the large pan with water and bring to a boil. ADD in a few pinches of salt to the water. COOK the spaghetti according to the direction on the package. SET aside 1/2 cup of the pasta cooking water before draining it. WHILE waiting for the pasta to be cooked, heat up the olive oil over low heat in a deep skillet. ADD in the thinly sliced garlic and cook it for 5 minutes. Make sure the heat is not too high, otherwise the garlic will be burnt. 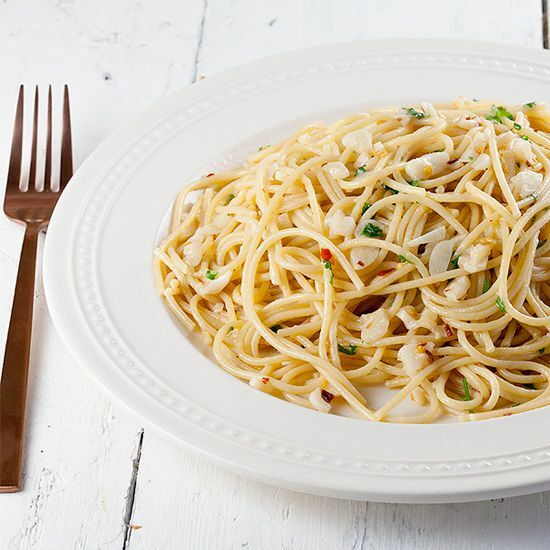 All we want is for the garlic to give off its delicious flavors into the olive oil. TURN the heat up to medium-high and add in the reserved pasta water. LET it come to a boil. 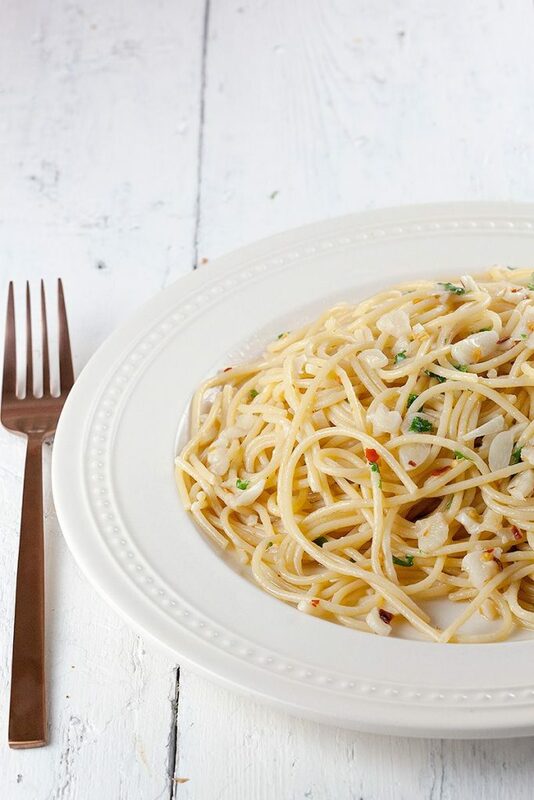 WHEN the pasta water has been reduced, add as much red chili flakes as you’d like. COOK for another minute. 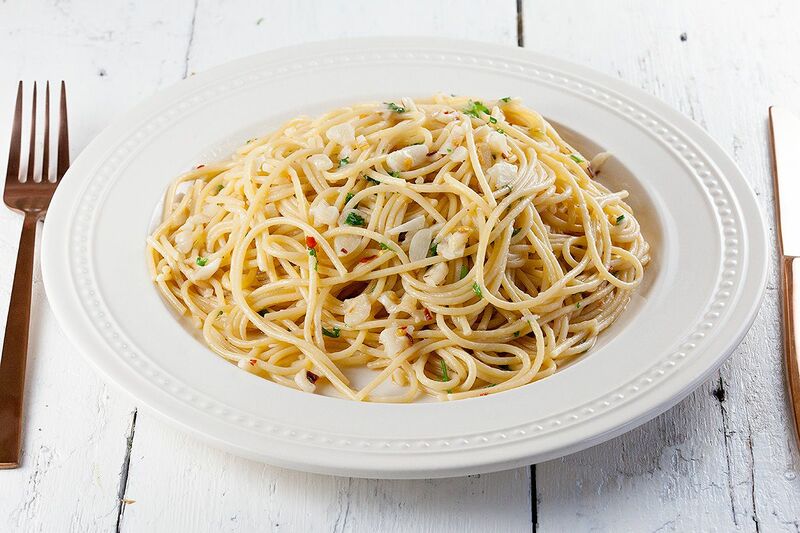 DRAIN the pasta and add the spaghetti into the deep skillet with the garlic infused oil. STIR well. ADD the grated Parmesan cheese and chopped fresh parsley and still well. Taste, and season with extra salt and/or pepper. This is falls under a category I love and cherish and like to call #DinnerTimeSolutions. Looks so simple and tasty!! Can’t wait to try it out!